Visual LCD graphic symbol, short key operation. 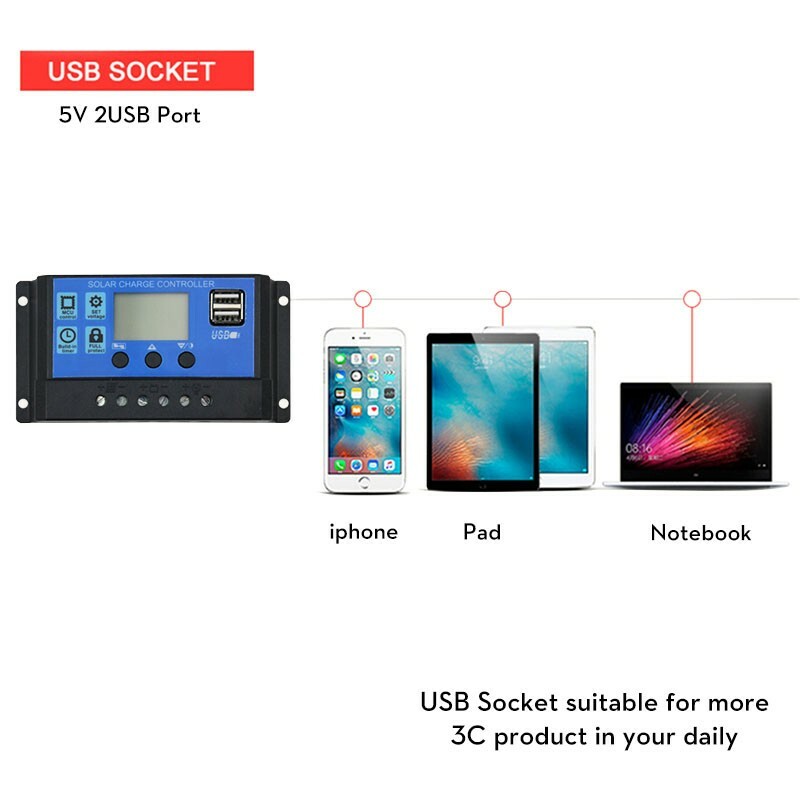 Suitable for home, industrial, commercial etc. 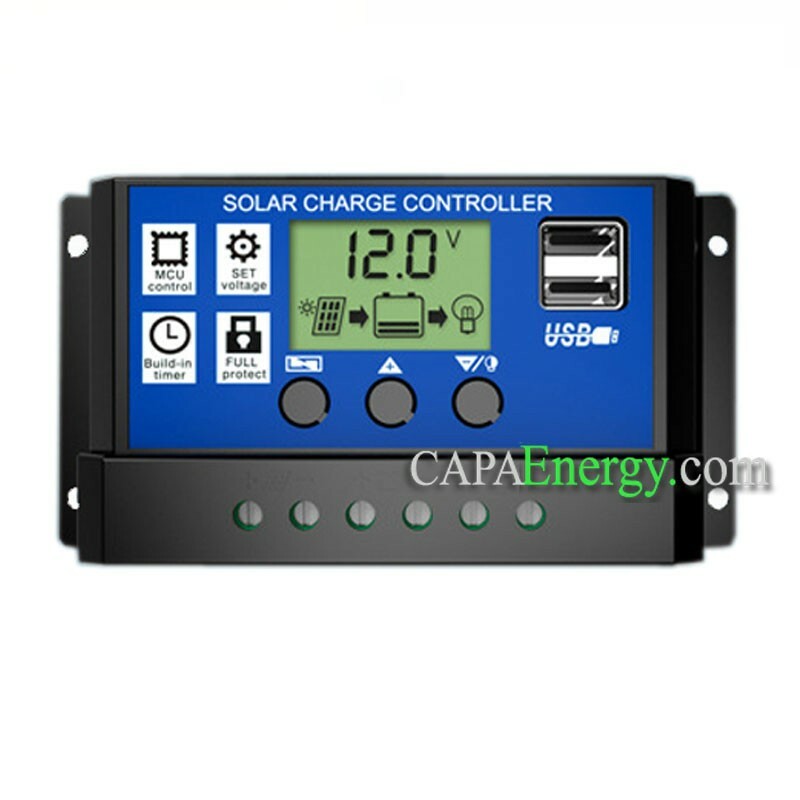 Adjustable charge / discharge control parameters, adjustable load operating modes. Industrial grade chips and precision components are adopted for all orders. 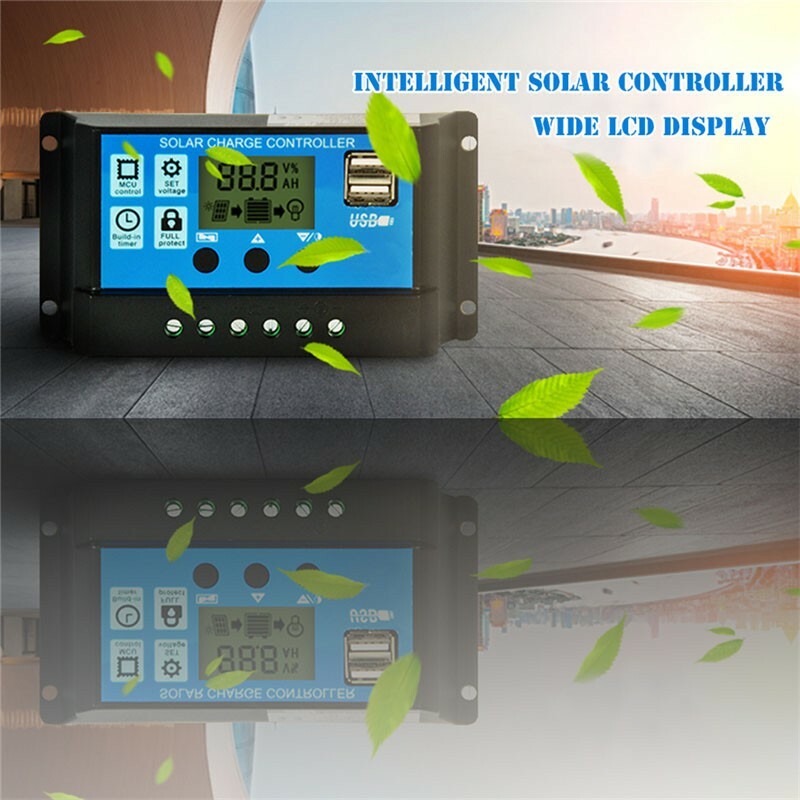 Therefore, the controller works well in very low and high temperature, as well as the humid environment. 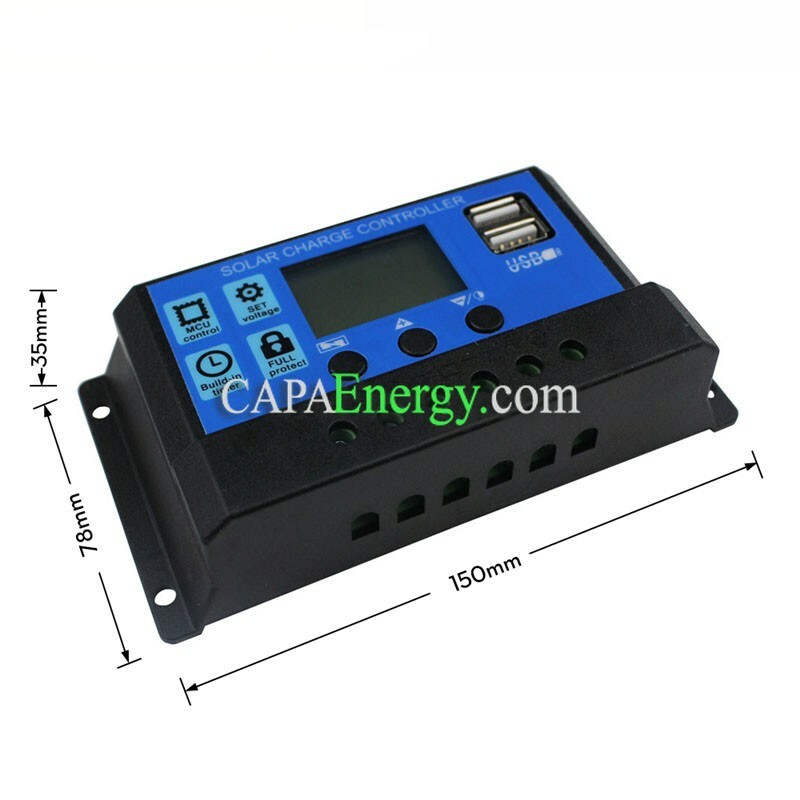 At the same time, with the use of the crystal timing control, the controller's timing function is much more reliable. Voltage level of the automatic identification system. 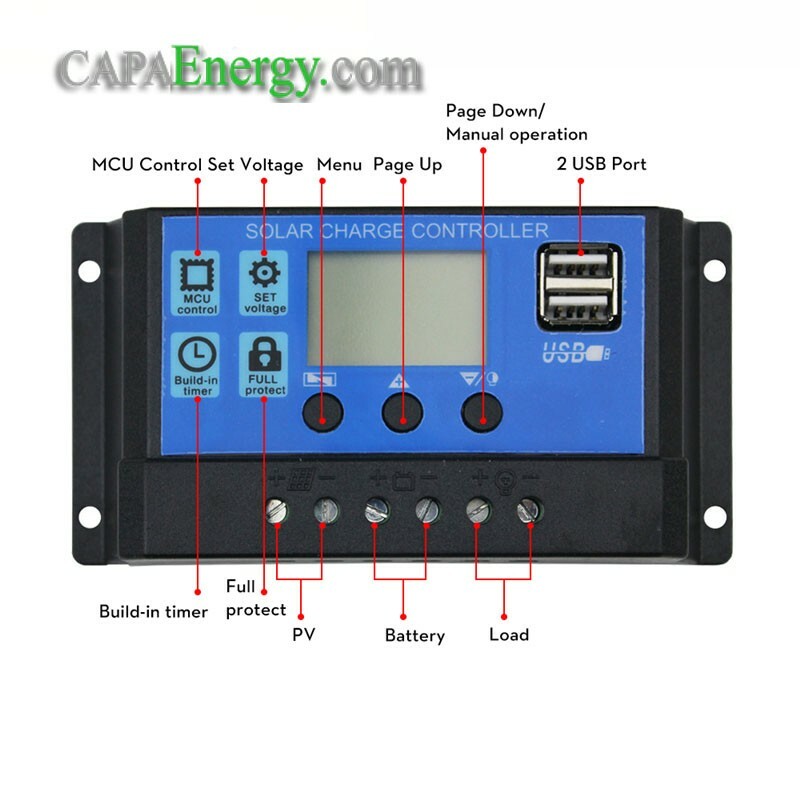 Five modes of charge operation: pure lighting control, lighting control and synchronization control, manual mode and debug mode. 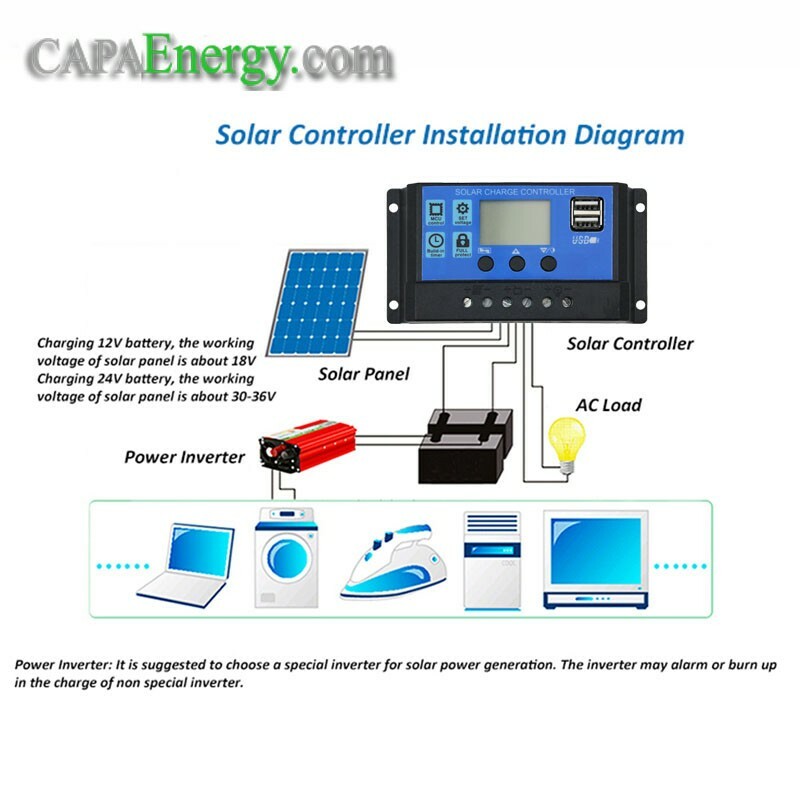 VARIOUS PROTECTIONS: Protection against overheating of the battery, protection against low voltages / reverse polarity, protection against overloads and short circuits. MISCELLANEOUS BATTERY: With dual 5V USB output.